St. Louis is a one of the largest and most respected cities in the Midwest for its tenacity, business-savvy, and flourishing culture. Once a dying industrial city, St. Louis has since reinvented itself as a haven for education and culture. 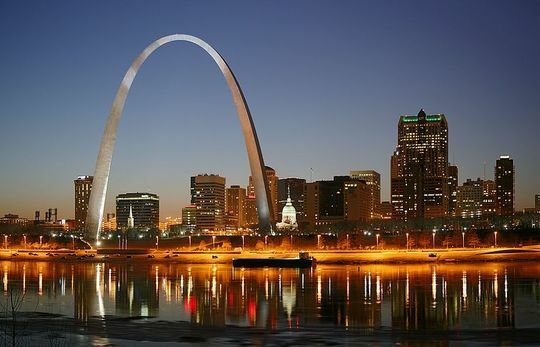 Known as the “Gateway City” or “Gateway to the West,” visitors and residents alike ignore the massive, Gateway Arch gracing the city’s iconic skyline. St. Louis is the home to several major institutions of higher learning, including Washington University and St. Louis University. This might help explain why it’s rated one of the most literary cities in the United States. But don’t worry! The pretention here is minimal to non-existent. St. Louis is known for its down-to-earth, friendly residents. When your city is home to two major universities, you can bet that housing will get a little competitive. The apartment search typically begins in October, peaking by June, and winding down in July. The earlier you search, the better selection of apartments you get. Searching for an apartment in St. Louis can be tough. That's why we scour the web to get all best listings around town. And our team of local experts verify the quality and accuracy of those listings to make sure that you have the best prices, images and information available. So unlike searching for an apartment on Craigslist, you can be sure that ABODO’s St. Louis apartment listings are safe, trustworthy and accurate. If possible, avoid using bridges if you commute to work, especially during rush hour. Though St. Louis traffic is not terrible compared to other cities, it can get a bit backed up between 4-5pm. Bridges tend to aggravate the traffic. Average commute time for those living in the ‘burbs tends to be around 30 minutes, assuming there are no accidents that clog up the roadways. Amazing St. Louis Apartments That Will Knock Your Socks Off! St. Louis offers a few different public transit options, including the MetroBus, Metro-Link, and a special Call-A-Ride Service. The MetroLink light rail system runs through many popular areas, spanning all the way out of state and into Illinois. The trains typically run every 7 minutes, providing quick and speedy service. If you’re into sports, then you’re in luck! St. Louis not only offers some great college sports, but also is home to three different sports venues. Take a trip Downtown to see a baseball game at Busch Stadium. You can also take a trip to the Edward Jones Dome to watch the Rams score a touchdown. Hockey more your style? Then head on over to the Scottrade Center, also located in the city’s center. St. Louis has no shortage of things to do during your downtime. If you want to be a tourist for a day, ride to the top of the famous Gateway Arch for a beautiful view of the city. You can also stop by Six Flags Saint Louis and enjoy a scream or two on one of the park’s many rides or cool off at the Hurricane Harbor Water Park. Looking for a more natural experience? Explore the Saint Louis Zoo and enjoy seeing some of the big cats, penguins, and other fascinating creatures all for free! The Missouri Botanical Garden offers 79 acres of finely manicured gardens, modern conservatories filled with exotic plants, and a lovely butterfly exhibit. Though St. Louis is renowned for its barbecue, the food scene here goes way deeper than that! If you're looking for a quick bite, you can track one of the city’s many food trucks and chow down on unique eats from across the globe. For knockout Italian Food, head to The Hill, which offers many American-Italian favorites like toasted ravioli. Cheap food and great hangover cures can be found at Boardwalk Café, a classic breakfast spot with a quaint diner-like vibe. If you want fancier fare without escaping the city's roots, look no further than Niche, where a James Beard nominated chef offers up sophisticated twisted on classic Midwestern dishes. With such a rich drinking history, it's not surprising that "the Lou" has some hot spots for barhopping. If you're looking for college dives, then the Delmar Loop will be your prime destination. Dirt cheap beer and dancing is abound in the Soulard neighborhood. The sports bar set will feel right at home in Downtown, which is brimming with football-focused dives that are made for post-game drinking. Lovers of the trendy hipster bars can crawl along Washington Avenue or South Grand. For a more upscale experience, take a look at the Central West End, which offers many delectable cocktails and fancy wine places. St. Louis might as well be called the art museum mecca of the Midwest. Located smack dab in the lush Forest Park, the Saint Louis Art Museum houses more than 30,000 works in its permanent collection, which offers pieces from artists like Matisse, Monet, and others. Contemporary Art Museum St. Louis is a rotating door of notable artists with no permanent collection, meaning that there's always a little bit of variety. In addition to the two art museums operated by the city’s Universities, the Clayton neighborhood is home to many smaller galleries and the Saint Louis Art Fair. Free concerts are abound in St. Louis during the summer months. St. Louis Botanical Gardens holds the Whitaker Music Festival, which offers a wide variety of concerts at the Cohen Amphitheater every Wednesday from June until early August. For a taste of the Gateway City’s rich brewing history, enjoy the St. Louis Brewers Guild’s Heritage Festival with delicious beer samples and food truck fare. Looking for something a bit more shopping oriented? Memorial Day weekend transforms St. Charles’ Family Arena into The Gypsy Caravan, a unique market featuring crafts, jewelry, antiques, and more. If you like a wide variety of shopping options, then Gateway City is guaranteed to please! For beautiful outdoor shopping in an upscale vibe complete with fountains and waterfalls, look no further than the Saint Louis Galleria, where you can indulge in everything from high end department stores to specialty stores. One of the most unique places to shop in the entire city is the St. Louis Union Station, a landmark building that has recently been converted into a lovely mall housing more than 80 boutiques and restaurants. For a more traditional shopping mall experience, check out St. Louis Mills, the West County Center, or the Chesterfield Mall, located only a few minutes outside of the city. Surprisingly, St. Louis is one of the few cities in the U.S. with a thriving soccer culture. Even more surprisingly, they actually don't have a major soccer team of their own. To make up for it, St. Louis throws themselves into the St. Louis Billikens games, the SLU men's soccer team. They even have a St. Louis Soccer Hall of Fame! Soccer fever aside, St. Louis is also home to several major league teams, including the Cardinals (baseball), the Rams (football), and the Blues (hockey). Forest Park is to The Gateway City as Central Park is to the Big Apple. This 1,371-acre park is home to several museums and a nationally acclaimed zoo, as well as a number of different recreational fields and golf courses for public enjoyment! Beyond Forest Park, St. Louis residents can also enjoy the lovely Citygarden, which features beautiful fountains and an intriguing sculpture garden. If you're searching for a lovely place to take a furry friend, then check out the enclosed Frenchtown Dog Park in Soulard! For something a bit more immersive, take a short drive over to the gorgeous Cliff Cave Park and enjoy lush woods, expansive fields, and a lovely limestone cave that houses endangered bats!